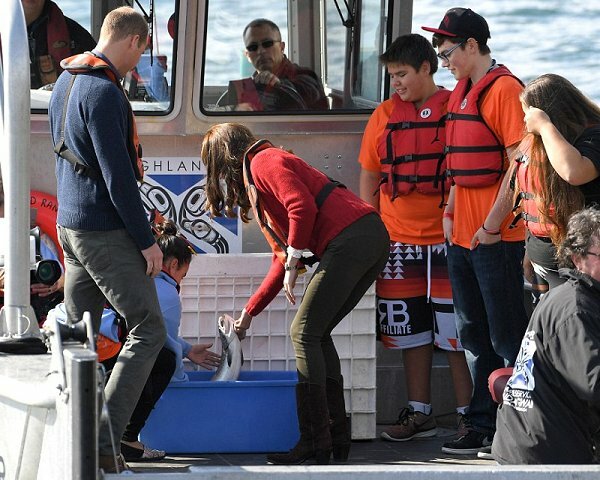 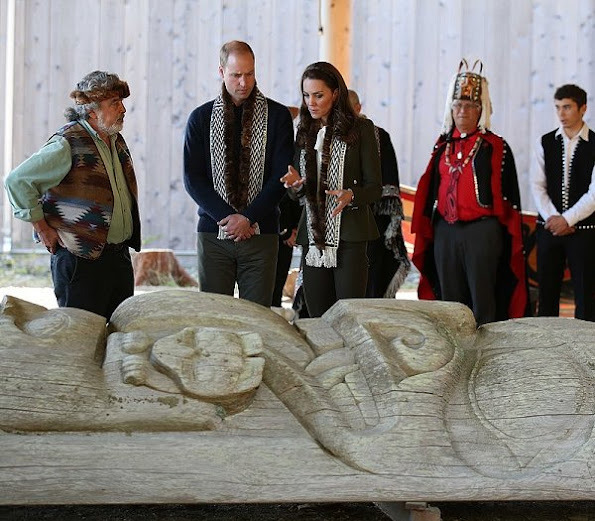 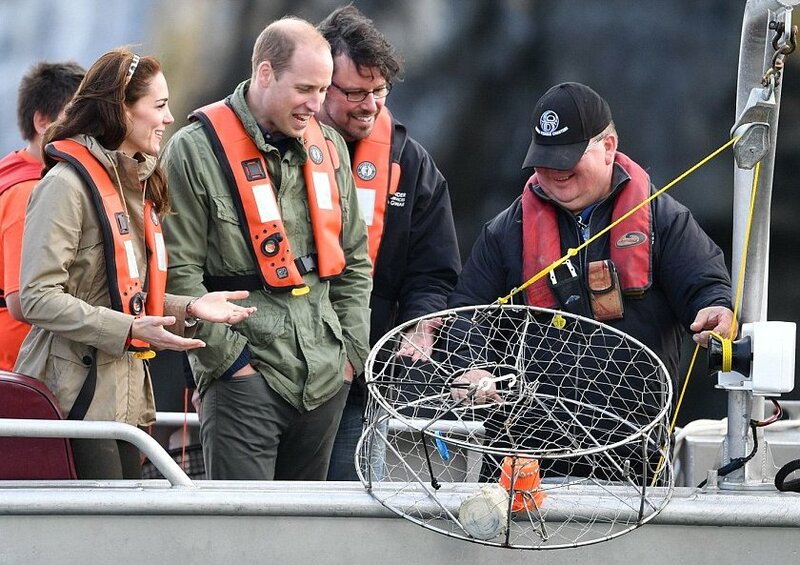 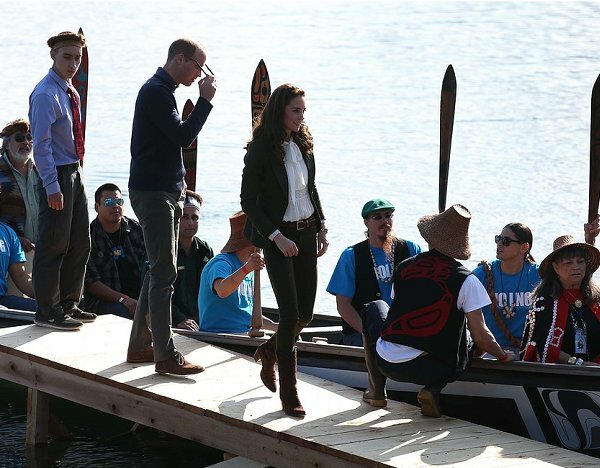 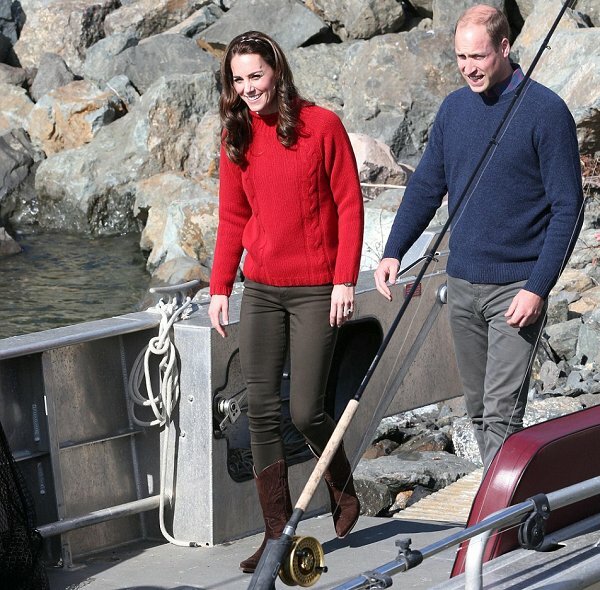 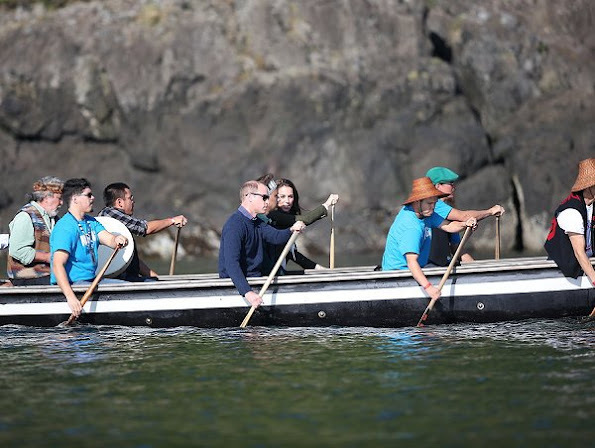 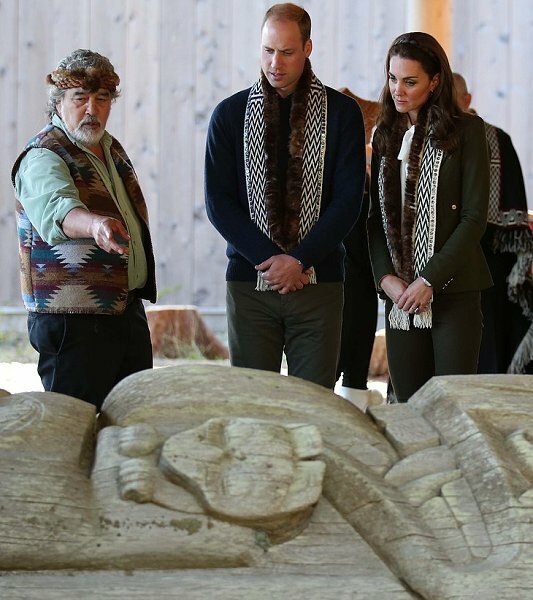 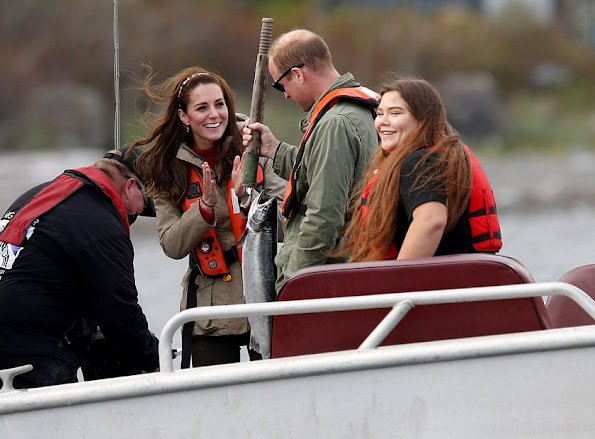 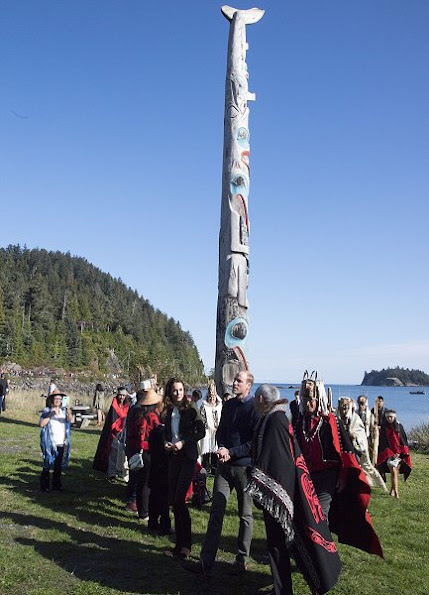 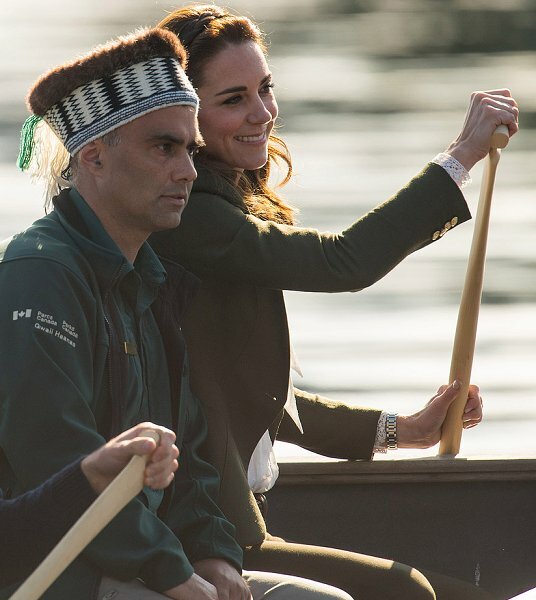 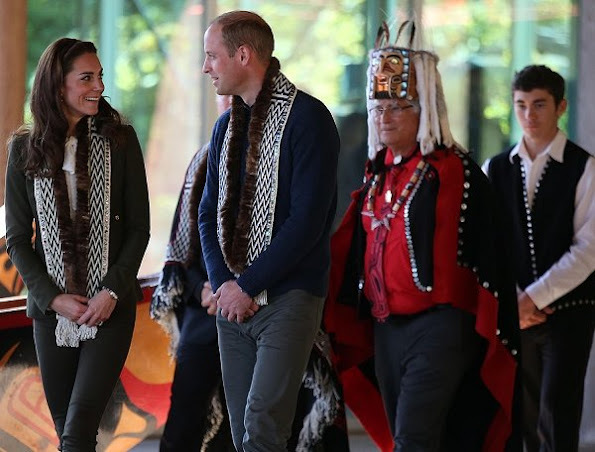 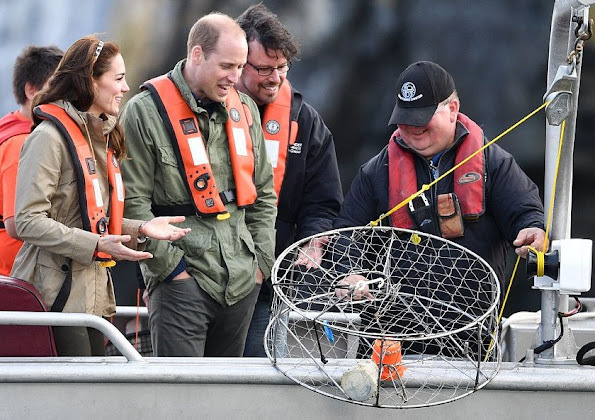 Prince William, Duke of Cambridge and Catherine, Duchess of Cambridge inside the Carving House at the Haida Heritage Centre and Museum at Skidegate on the island of Haida Gwaii on September 30, 2016 in British Columbia during the Royal Tour of Canada. Twelve members of the Skidegate Saints basketball team paddling the canoe transported William and Catherine. 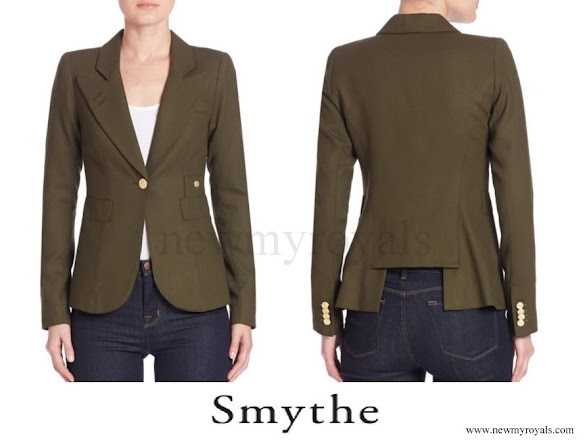 The Duchess wore a new Smythe Wool Duchess Blazer. 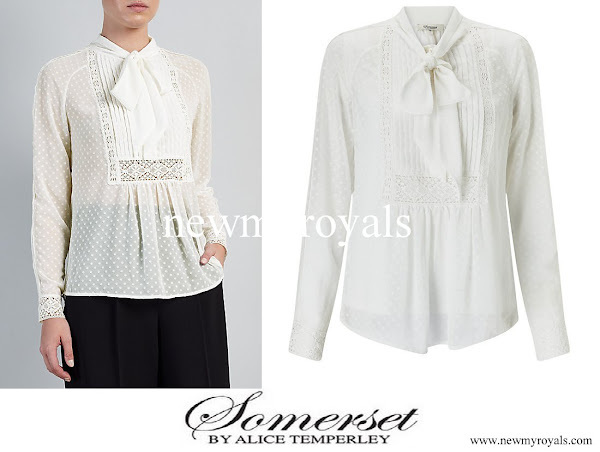 Kate's blouse is the Somerset by Alice Temperley Spot Pretty Blouse. 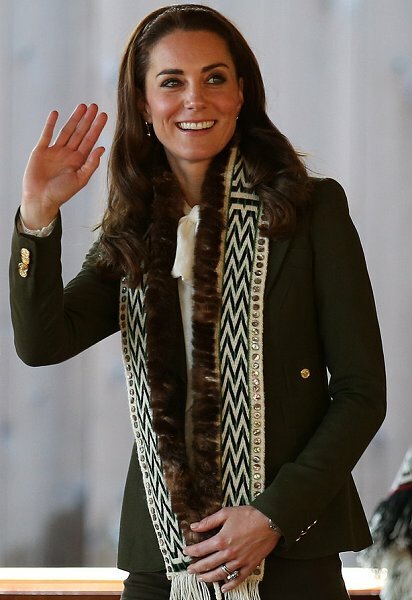 I have no idea what she sees in that weirdly cut jacket. Thumbs up for hairband ! 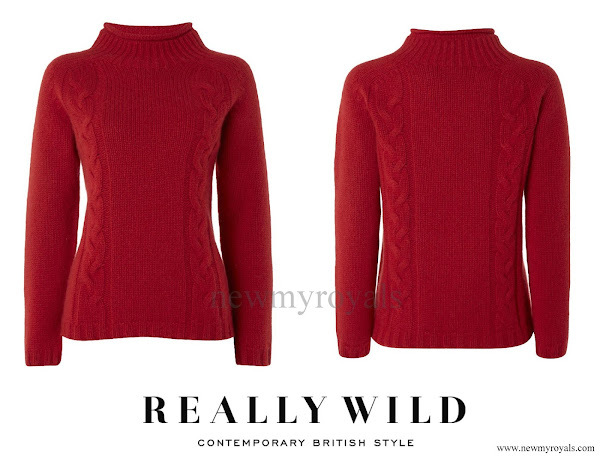 It makes such a difference ! Love the lace blouce ! 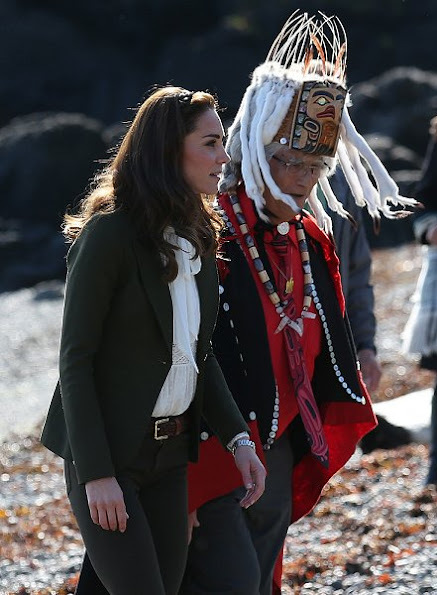 What a difference and headband can make. 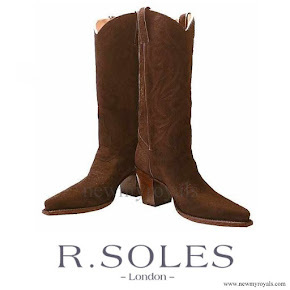 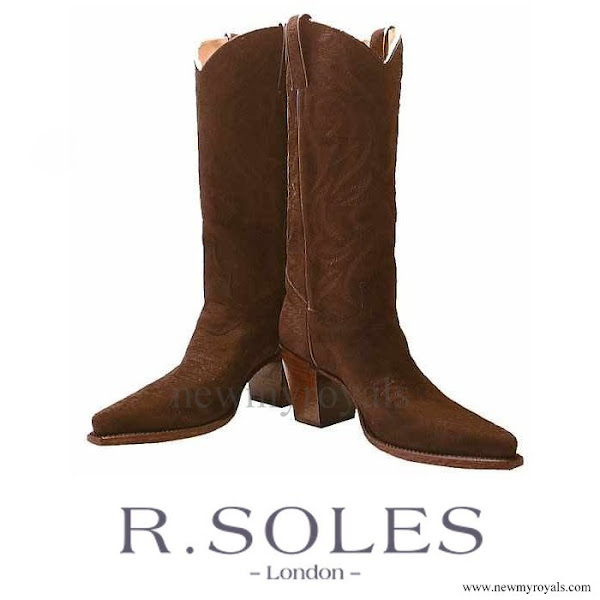 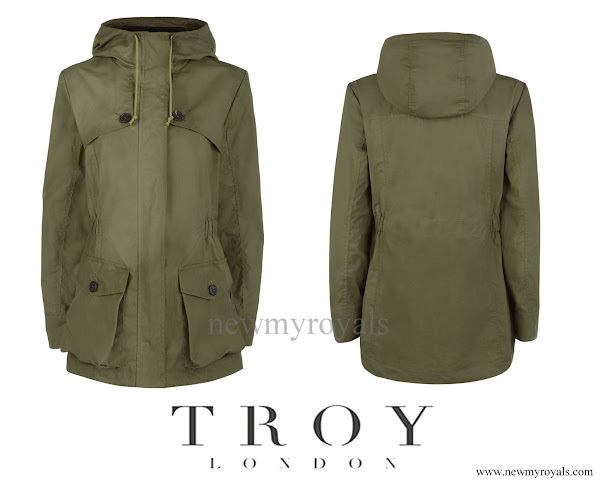 Once again a casual outfit looks neat and appropriate.